Why is Tax Season Good? Tax season is here! Why is that a good thing? Many of us have already received our refunds and are investing money back into the economy through automotive purchases. A win-win for the economy and the consumer. So what vehicles are the most sought after? The 2015 Ford F-150 and Acura TLX proudly sit among the top sellers in a January auto sales report, according to Edmunds.com. “Momentum is especially strong for our F-Series pickup, with the all-new F-150 the hottest product on our dealers lots in January,” said Erich Merkle, Ford’s U.S. sales analyst. 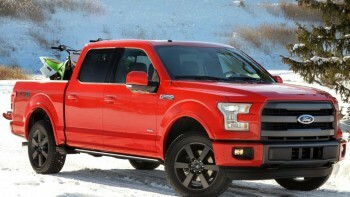 Ford reported that the new aluminum-bodied F-150 is averaging just 12 days on the lot. High-end Platinum and King Ranch F-150 models are “turning even faster, averaging just nine and 10 days, respectively,” Ford said. Ford posted a 15 percent sales increase in the U.S. in January, with sales of 178,351 vehicles. Acura’s revamped Acura TLX was a top performer as well. Consumers grabbed 2,892 TLXs in January, “easily besting the combined sales of its two predecessors in January 2014 by 27.9 percent,” the company said. 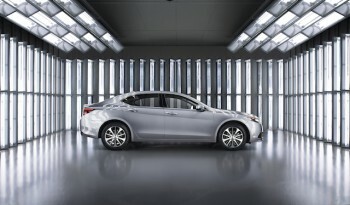 The TLX replaces the Acura TL and TSX. A sure winner for 2015. Check out our vast selection of F-series trucks and the gorgeous Acura TLX’s HERE. We’ve got plenty of both these winning vehicles in Ashland, come by and check them out! Turn lemons into lemonade with this tax season! ← Previous Post The First Flying Car is Here!